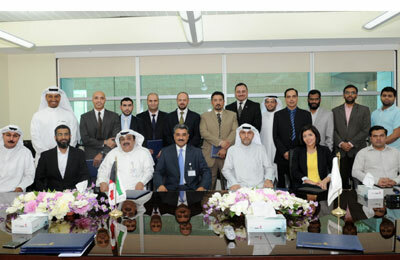 Kuwait National Petroleum Corporation (KNPC) and ITS (International Turnkey Systems), today announced the implementation of a virtualized Oracle Enterprise server at the oil major's complex. The project, claimed to be the largest state-of-the-art server deployed in the GCC, has streamlined processes, reduced bottom line costs and increased performance by 50 percent, a statement said. The increased performance was recorded within its business critical systems, such as financial systems and its in-house applications that manage refinery procurement schedules, it said. With the successful completion of the ICT project, KNPC now boasts one of the biggest hardware infrastructures in the region paving the way for similar successes from other enterprises in Kuwait, the statement said.